Income volatility is gaining increasing attention for the impact it has on household finances and stability. 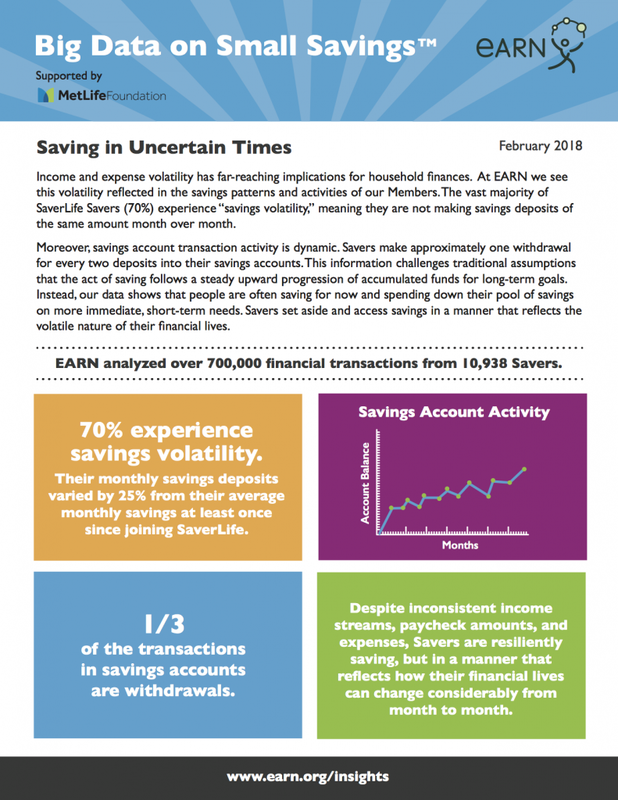 To learn more about the real experience of income and expense volatility among low-income households, EARN analyzed more than 700,000 financial transactions from 10,938 SaverLife Savers to examine volatility trends on both savings and checking accounts. Our data found evidence that Savers experience considerable volatility. That volatility is reflected in their savings patterns and activities. The majority (70%) of SaverLife Savers make deposits 25% more or less than their average at least once over a six-month period, meaning that “volatility” isn’t always a negative experience. Nearly 40% of volatility events were experienced as an increase in average savings, while 60% was a result of a larger decrease in average savings. EARN’s analysis also found dynamic savings account activity. Approximately 1/3 of transactions are withdrawals. On average, Savers make one withdrawal for every two deposits into their savings accounts. This challenges the traditional assumption that the act of saving follows a consistent and steady upward progression for long-term goals. What we see in an analysis of transaction data from more than ten thousand individuals paints a different picture. In qualitative interviews, many Savers report to us that they are “saving for soon” and often need to draw down savings for immediate short-term needs. 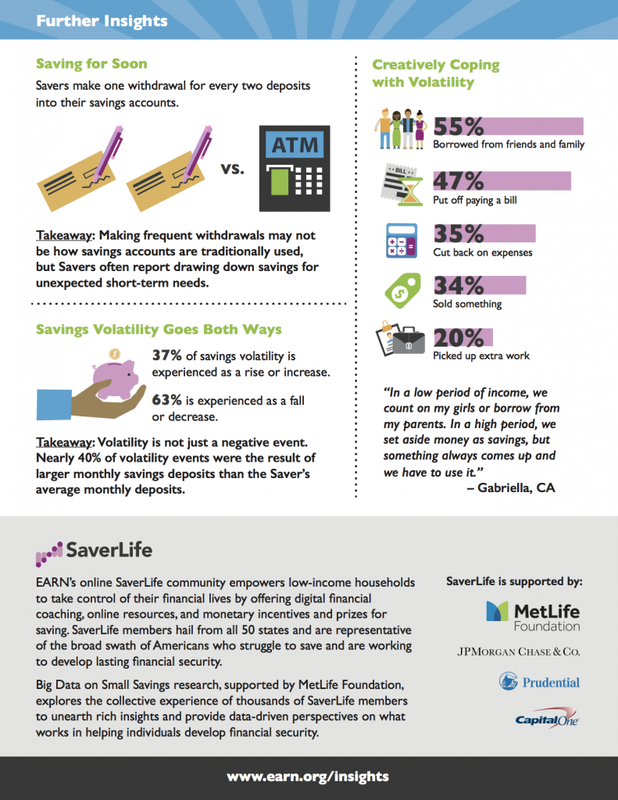 This data shows that Savers set aside and access savings in a manner that reflects the volatile nature of their financial lives.